Please choose 3 dates that that would work for you. * (See Below.) Note: Available dates start 4 weeks out, to allow the zoo time to schedule your encounter. Please list any allergies you may have, so we can better accommodate you. If you have no allergies, please write "none." Hoping to propose during your visit ? Is this a surprise? Please list any special requests you may have and we will do our best to accommodate them. If you have no special requests, please write "none." When you make a donation through the ZooBuilder Program, you are directly supporting the revitalization and upgrades that are being made to the Edmonton Valley Zoo. Your generosity not only helps improve the homes of the wonderful animals at the zoo, but it ensures that future generations of Edmonton families will be able to enjoy the zoo as well! To become an Individual Zoo Builder simply pick the ZooBuilder Donation Package of your choice – Friend of the Zoo, 1-2 Person Encounter, 3-4 Person Encounter, or Zookeeper for a Day – and choose the amount you would like to donate from the drop-down list, then click “Add to Cart” to be redirected to PayPal or credit card payment. The Valley Zoo Development Society cannot thank you enough for your generosity! By choosing to donate an amount between $250.00 and $499.00, the VZDS will show our thanks by arranging for you to bring the whole family to the zoo for a day OR, if you’d prefer, we can arrange for you to discover the fascinating facts about one of our animals during a private behind the scenes animal encounter led by one of our zookeepers! THIS ENCOUNTER IS FOR A MAXIMUM OF 2 PEOPLE & LASTS 2 HOURS. We do require a minimum of two weeks in advance of your three preferred dates to ensure that the zoo has a zookeeper available to lead the encounter. Note that while we make every effort to place you with your preferred animal, the health & well-being of the animals – and our visitors – are the top priority. Sometimes the animals may not be up for visitors on the day of your booked encounter. This does not occur frequently, but we want you to be aware that this is a possibility and therefore ask you to provide your top three animals you’d be interested in meeting. Primates are not included in any of the Zoobuilders packages. A visit with Lucy, the Asian Elephant, is only eligible through a donation of $1,000+. Note that encounters do not include the ability to hold/cuddle animals. They are wild animals after all. Your safety – as well as theirs – is of the utmost importance. If you have any allergies, you feel we should be aware of please list them so that we can better accommodate you during your visit. We want to make your encounter as safe, and enjoyable, as possible. Please let us know if you have any special requests while you are enjoying your encounter. Special requests include things like planning a proposal, birthday surprises, etc. Please note that, while we cannot grant every request made, we do try our best to make your dream a reality. * Children can participate in the encounter; however they must be accompanied by an adult. Safety is the number one priority, and the keeper has to make sure that the guests and the animals are safe. Encounters are more enjoyable for older kids, as younger kids require more caution on the part of the keeper and adult. 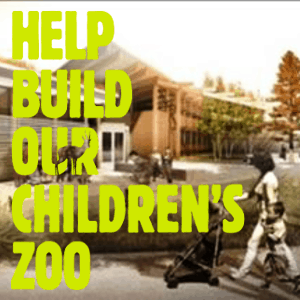 ** When you donate $250.00 through the ZooBuilder 1-2 Person Encounter, you will receive a tax receipt in the amount of $165.00/ 1 Person OR $150.00/ 2 Persons. Increased donation amounts will be reflected in tax receipt totals.